Just one of the Phillies' four full season minor league affiliates are headed to the postseason. Taking all 142 games of their schedule to do so, the Double-A Reading Phils clinched their Wild Card berth with a 7-3 win over Portland on Monday, on the final day of the Eastern League's regular season. 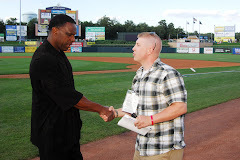 In the Eastern division standings, the R-Phils beat out New Britain by just one game for the right to take on division champ Trenton (Yankees affiliate) this week with a chance to play in the EL championship series on the line. To open the playoffs, Reading will host the Thunder for games 1 and 2, at Reading's First Energy Stadium on Wednesday and Thursday. Games 3, 4 and 5 will be played at Trenton's Waterfront Park on Friday, Saturday and Sunday, if necessary. 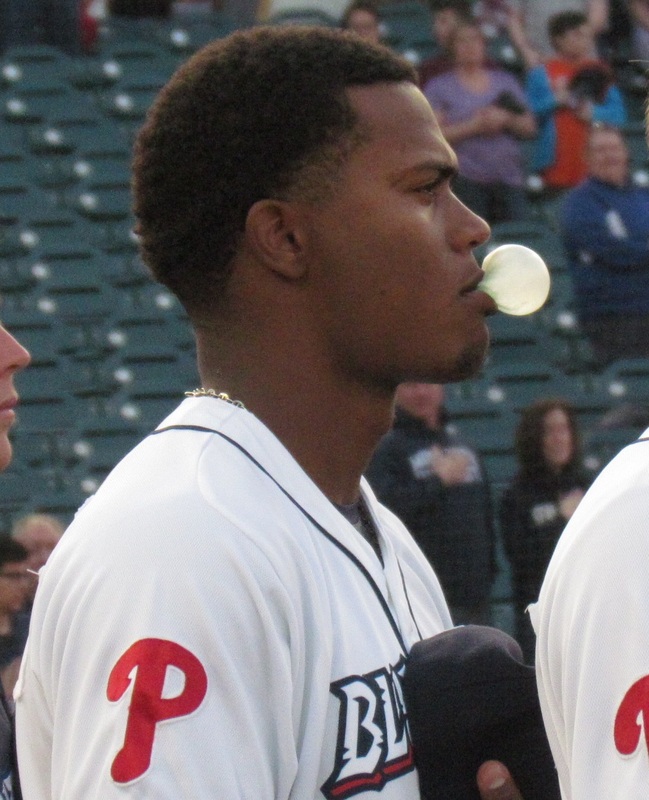 Reading finished three games behind Trenton in the season standings, but the R-Phils downed the division champs in seven of 13 contests during the regular season. 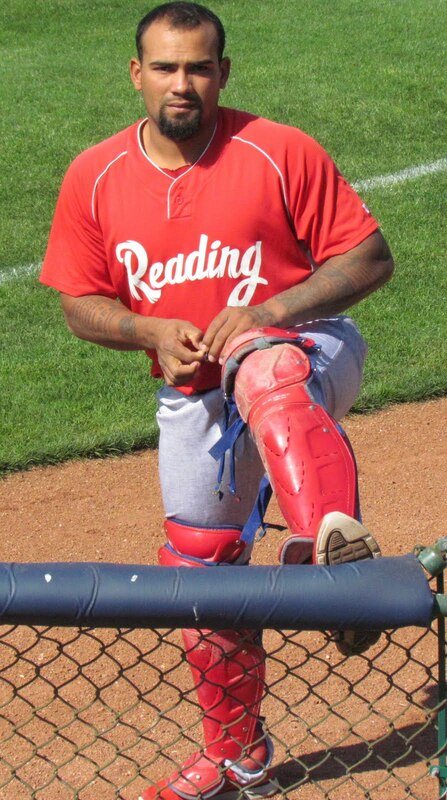 Reading's top offensive performer this season was the EL Most Valuable Player Darin Ruf (pictured), who finished second in the league in batting average with a .317 mark while leading the league in home runs with 38 and RBI with 104. 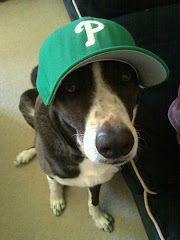 Ruf had a torrid month of August, batting .371 with 20 HR and 36 RBI in 31 games. 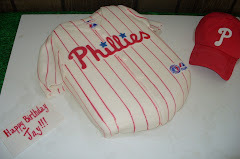 The Phillies' 20th round draft choice from 2009, cited the meaningful games down the stretch, while his team strived to reach the postseason, as having played a factor in helping him pick up his production. "The longer we stayed in it, the more meaningful the games were and that way you can't give up on a game or give up on an at bat. The more meaningful it is, the more you'll get out of each situation and the better you'll be, ultimately, for a playoff run," Ruf stated. 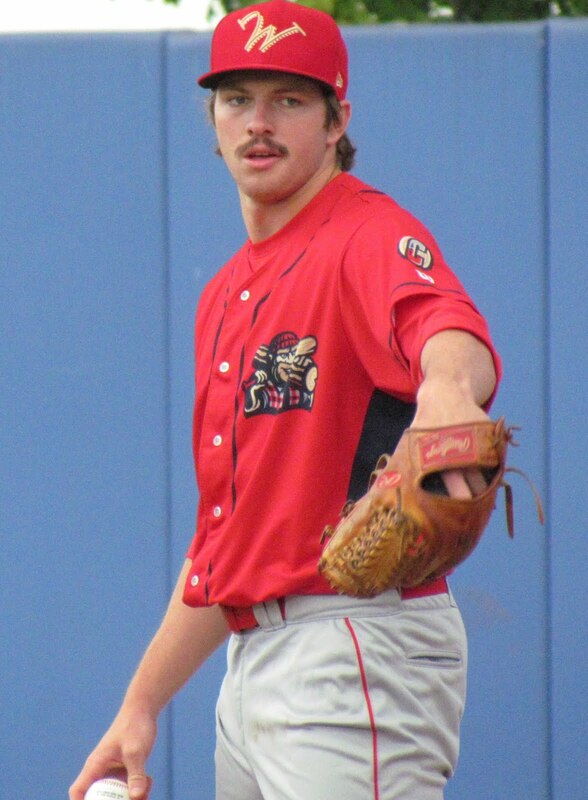 Reading's game 1 starting pitcher is set to be righty Austin Hyatt, who posted an 8-5 record with a 4.62 ERA in 16 starts at Double-A this season. 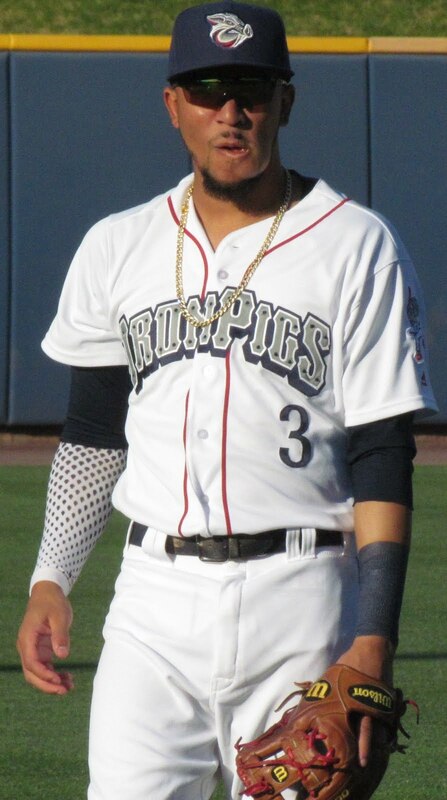 The 26-year-old did poorly during a stint with the Triple-A Lehigh Valley IronPigs, as he sported a 2-7 record with a 6.33 ERA in 11 starts. 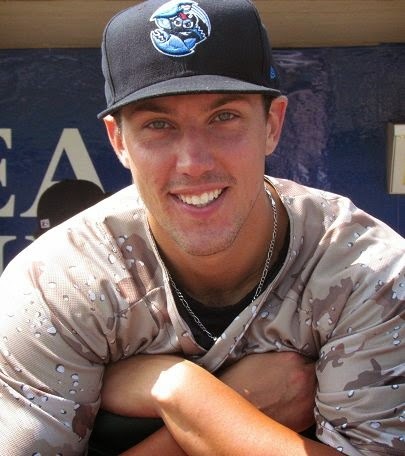 Hyatt was the Phillies' 15th round draft selection in 2009 out of the University of Alabama. The remaining rotation for the opening round is likely to pan out as Trevor May, Ethan Martin and Adam Morgan. 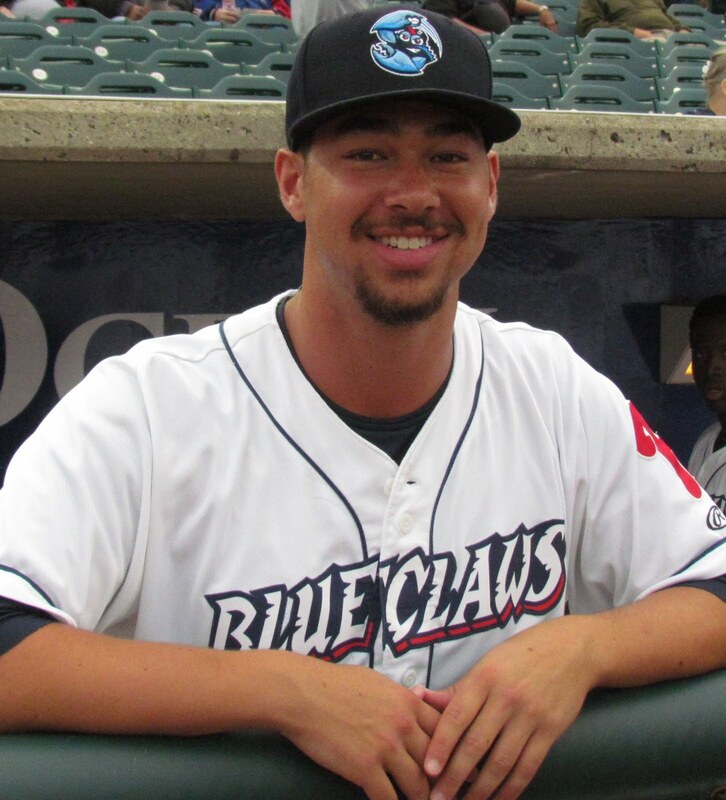 Brody Colvin, who posted an 11.02 ERA in 7 starts for Reading since his promotion from Class-A Advanced Clearwater in late July, will not be used as a starter in the postseason. Triple-A Lehigh Valley missed an opportunity down the stretch to reach the playoffs, as they finished 3 1/2 games behind North division Wild Card winner Pawtucket, with a 75-68 record. The IronPigs were led this season by righty pitcher Tyler Cloyd, who posted a 12-1 record with a 2.35 ERA in 22 Triple-A starts. 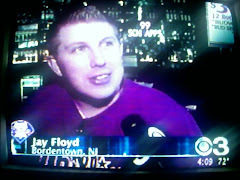 Cloyd has since joined the big league rotation and sports a 1-1 record with a 2.72 ERA in two starts with the Phillies. The Class A Advanced Clearwater Threshers missed the postseason by one game, as they finished with a 36-30 record behind second half North division winner Lakeland in the Florida State League. 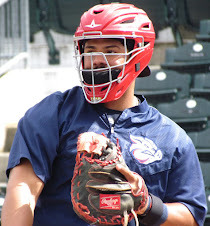 The top offensive performer for Clearwater this year was 26-year-old first baseman Jim Murphy, who batted .274 with 17 HR and 85 RBI in 125 games for the Threshers. 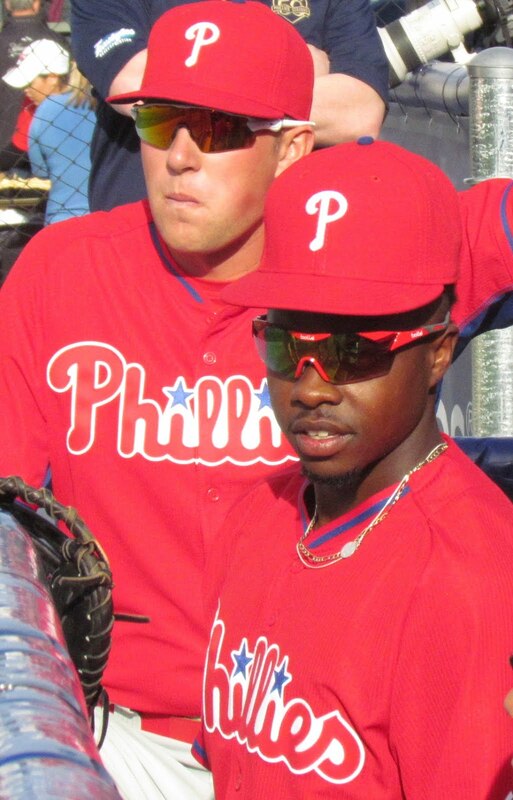 Murphy was the Phillies' 17th round pick in the 2006 amateur draft. 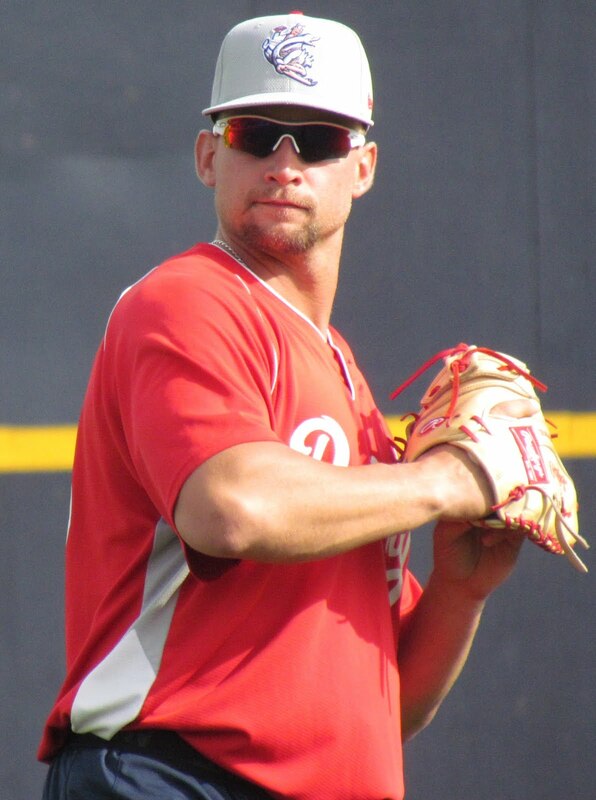 The top hurlers on the Threshers' staff were lefties Jesse Biddle and Austin Wright. 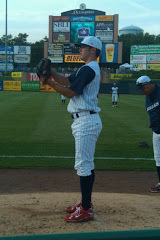 Biddle went 10-6 with a 3.22 ERA while averaging 9.53 K/9 in 26 starts this season. Wright, who was named pitcher of the year in the FSL, posted an 11-5 record with a 3.47 ERA and an 8.11 K/9 mark in 27 games (25 starts). Class A Lakewood finished the second half with a 36-33 record, which placed them 4 1/2 games behind South Atlantic League North division winner Hagerstown. 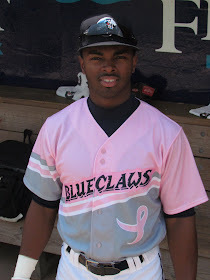 Third baseman Maikel Franco, who recently turned 20 years old, and former 2nd round draft pick (2009) outfielder Kelly Dugan were the standout stars for the 'Claws this season. 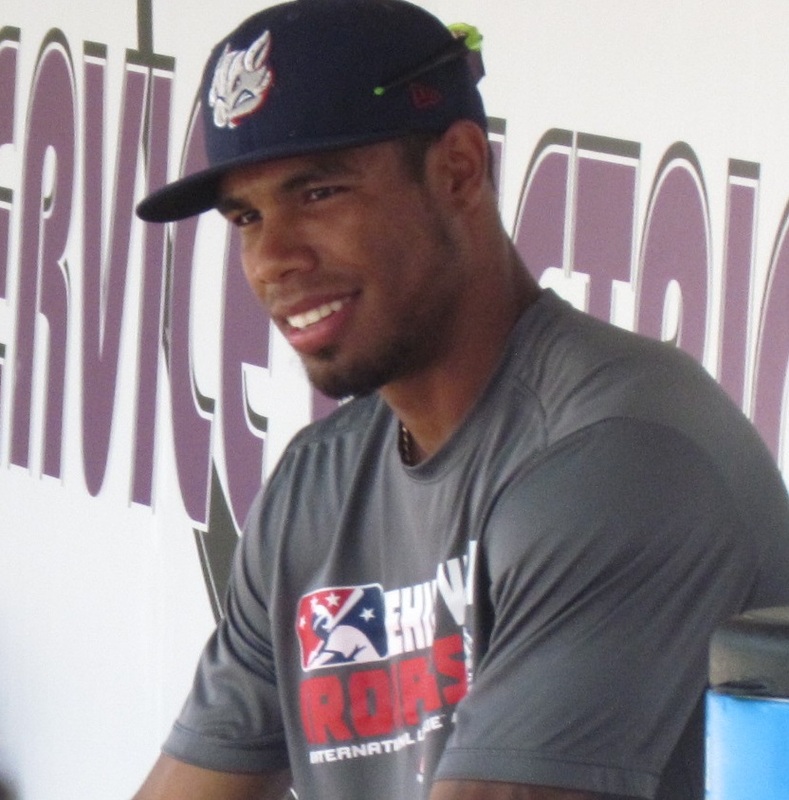 Franco, a Domincan Republic native, posted a .280 average with 14 homers and 84 RBI in 132 games with the BlueClaws. 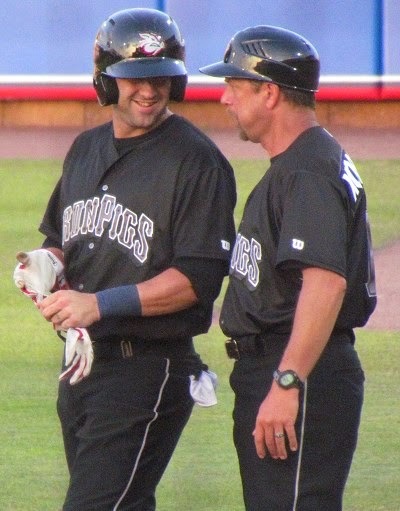 Meanwhile, the 21-year-old Dugan tallied a .300 batting average with 12 home runs and 60 RBI in 117 games. 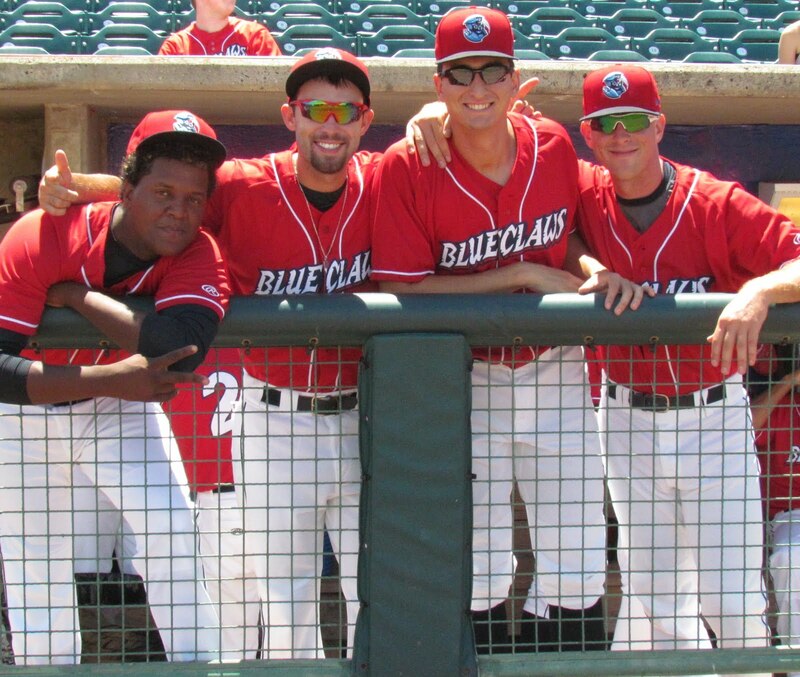 Drawing 410,113 fans to FirstEnergy Park this year, the BlueClaws again topped the SAL in attendance, as they have now done in all 12 years of existence. 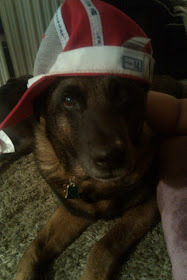 The tally this year brings the 12 year total to 5,248,736 fans. 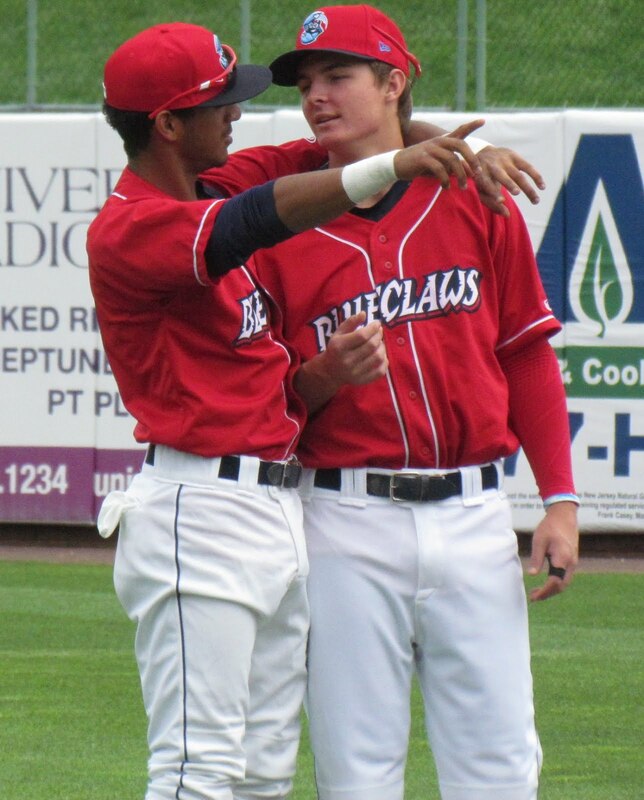 Additionally, the Phillies' short-season low-A level club, the Williamsport Crosscutters missed the playoffs, as they are primed to finish last in the NY-Penn League's Pinckney division with a 29-45 record. Williamsport has two games remaining on its schedule. 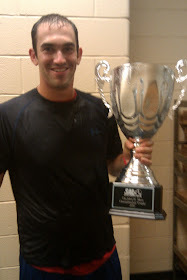 The 'Cutters' offense was led by this year's 4th round draft selection, Chris Serritella, who is a Southern Illinois University product. The 22-year-old first baseman sported a .297 batting average with 6 HR and 45 RBI through 73 games after making his pro debut.